In the weeks following the Nintendo Switch's launch, it became clear that the portable-handheld hybrid would do better than its ill-fated predecessor. What's surprising, however, is just how quickly the system has surpassed the Wii U. Nintendo had a stellar holiday quarter, shifting 7.23 million Switch consoles and bringing lifetime sales to 14.86 million. The Wii U, for comparison, sold 13.56 million total — a paltry sum in comparison to the Wii's 101.63 million units. The question is whether Nintendo can maintain the Switch's hot streak; there isn't much beyond Bayonetta, Kirby and the cardboard-folding Labo for 2018 at the moment. Nintendo's latest earnings, which cover the nine months leading up to December 31st, 2017, reveal some software triumphs too. The award-winning Super Mario Odyssey has reached 9.07 million sales, while Mario Kart 8 Deluxe — a re-release of the Wii U version with a reworked battle mode - has sold 7.33 million units to date. The Legend of Zelda: Breath of the Wild sits at 6.7 million sales, while Splatoon 2, Nintendo's colorful and competitive paint-based shooter, has shifted 4.91 million copies. 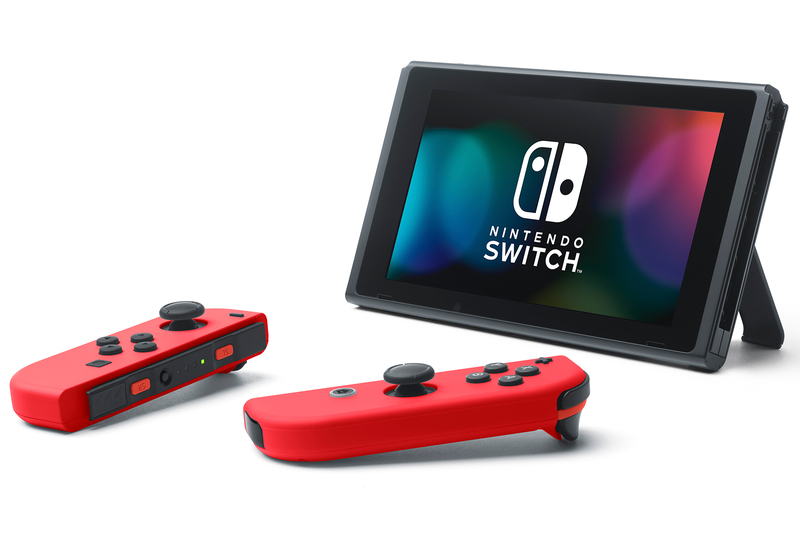 According to Nintendo, that makes eight million-or-more selling Switch games. The 3DS' momentum, unsurprisingly, is starting to fade. Hardware sales grew in the US over the holiday season but it wasn't enough to stop a global 9 percent year-over-year decline. Still, 5.86 million sales isn't bad for a system that came out in 2011. Pokémon Ultra Sun and Pokémon Ultra Moon, unsurprisingly, were the software highlights with 7.17 million sales between them. They weren't enough, however, to stop 3DS software falling to 31.25 million sales — a 33 percent decrease year-over-year. Nintendo is staying tight-lipped about the notoriously difficult to purchase Super NES Classic Edition, merely calling it "a hit" since its launch in September. For the nine months ending on December 31st, 2017, Nintendo made 156.46 billion yen ($1.44 billion) in operating profit, based on 857 billion yen ($7.88 billion) in net sales. In light of these results, Nintendo has revised its forecast for the financial year ending on March 31st, 2018. The company now expects to make 160 billion yen ($1.47 billion) from 1.02 trillion yen ($9.38 billion) in net sales. That's a 33.3 percent increase from its previous (and already eclipsed) prediction of 120 billion yen ($1.1 billion). In short, Nintendo is on a roll right now and the good times are set to continue provided it can keep its game pipeline moving. Metroid Prime 4, anyone?